Why Doesn't the U.S. Have an Office of the National Nurse? asks American Journal of Nursing editor in chief emeritus Diana Mason in a recent article she posted at AJN Off the Charts?. Mason describes the scene, a public hearing hosted by the Institute of Medicine Initiative on the Future of Nursing. Leading off the session were two nurses, Ann Keen, Member of Parliament and Parliamentary Undersecretary for Health Services, who chairs the British commission; and Jane Salvage, the lead secretariat for the commission and a former contributing editor for AJN. While being interviewed by Mason, Keen and Salvage, both said they didn’t understand why American nurses were not supporting the call for a CNO for the United States. They went on to express support for elevating a nurse to be on par with the Office of the Surgeon General. Mason concludes, "Our colleagues across the pond are convinced that it makes a difference to have a national CNO who is visible, proactive, collaborative, and savvy. Keen urged nurses to “have courage and take your agenda forward.” While our current priorities should probably be ensuring that Congress passes health care reform legislation this year and that any legislation includes enabling language to improve access to advanced practice nurses, we’ll soon need to focus on how to transform the care we provide to emphasize health promotion and care coordination. Let’s do it with courage and include the notion of a national chief nurse." Susan Sullivan, NNNO Board Member, left this comment: "The grassroots group of nurses that has been working for over 3 years to establish an Office of the National Nurse in the US remains focused and determined. They continue to be optimistic because support for having a National Nurse is overwhelming when the vision is shared with nursing organizations across all areas of practice. Opposition arose based on misinformation on the role and details of the proposal. The excellent work done by ANA and other professional nursing organizations will be supported and enhanced by having a National Nurse. Surely support for enhancing nursing’s role in improving the nation’s health would not be adversarial to any group familiar with the issues of nursing advocacy. Nurses, unite, and support having a National Nurse, because both the nursing profession and the nation will benefit." Health promotion is essential for improving the health of populations. For over one hundred and fifty years nurses have responded effectively to public health problems pioneered by the skill of Florence Nightingale, who spread the gospel to reduce communicable disease, Lillian Wald and Mary Breckinridge, just to name a few. During the 70’s nurses made many contributions to improve health care including the hospice movement, day care of the elderly, drug abuse treatment programs, rehabilitation services and home health. The US public health service estimates about 10% of all early treatment can prevent early deaths in the US, wheras population based approaches can prevent about 70% of early deaths through measures that influence lifestyle choices and the environment. RNs continue to actively participate in developing innovative ways to provide care through prevention by utilizing the nursing process. The nursing process enables the RN to assess illness and health care needs, plan interventions to meet those needs, implement effective plans and teach health care practices, effectively collect data, utilize the results to direct care and develop policy and research to promote health and prevent diseases. Nurses look to the past for their inspiration and explanation only to predict and promote the comprehensive approaches that it will take to accomplish successful strategies. The future health care promotion and complex needs of the public must be met in synergy with the most trusted profession voted by the public, the NURSE. Nurses truly make a DIFFERENCE. I commend and endorse your organization’s principles and efforts. Continued cutbacks in school nurses raises concerns for H1N1 response. With the threat of H1N1 flu facing schools this fall, the role of school nurses will be pivotal as communities gear up to respond to H1N1. Yet few states or school districts meet the CDC recommended ratio of having one school nurse for every 750 students, and each school nurse often must serve several schools. The National Association of School Nurses found from its own 2007 survey that the ratio was much higher; 1,151 students per nurse. USA Today recently highlighted the plight of America's school nurse in their report, School Nurses In Short Supply. 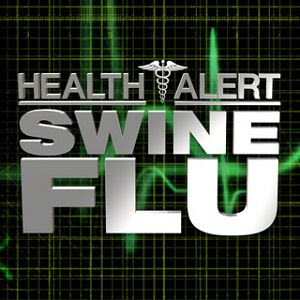 The article acknowledges that when swine flu appears in schools, it is likely that the school nurse will discover it. Yet nationwide, only an estimated 45% of public schools have a full-time nurse on staff. If public schools who have a part-time nurse are added in, this figure jumps to 75%. Still this leaves 25% of schools with no nurse at all. The actual impact H1N1 will have on school children is yet to be determined. School nurses anticipate being needed to coordinate screening, plan for mass immunizations, and teach prevention including proper handwashing and cough etiquette. The pending H1N1 scenario presents a good example of how having a National Nurse would benefit our nation. A National Nurse could provide focused guidance and attention on this crisis; engaging nurses able to volunteer to partner and offer assistance to their local schools, and encourage nurses to participate in immunization clinics as these become available in their own communities. 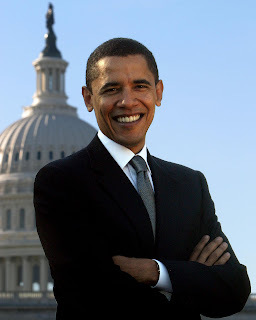 These statements by President Obama recognizing the credibility of nurses, also seem to strengthen the premise that trusted, knowledgeable nurses could be very effective change agents for furthering prevention efforts in our nation. Thus, as we tackle how to reform healthcare for the future, the goal of having a National Nurse to spearhead prevention efforts by nurses continues to make sense. The time for change is here and that includes implementation of the Office of the National Nurse initiative. 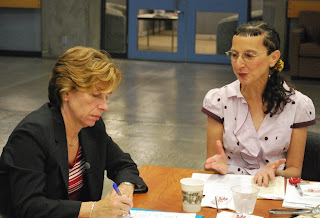 National Nursing Network Organization's President Teri Mills had an opportunity to speak directly with AFT National President Randi Weingarten during AFT's Back To School Tour '09 last week when Weingarten visited the campus of Portland Community College. AFT represents 1.4 million members of which 40,000 are nurses. Weingarten expressed great appreciation for what nurses contribute each and every day to keeping our nation healthy. Nurses represent the largest sector of the healthcare workforce and have played an integral role in healthcare reform activism this past year. Nurse educators Linda Eby, Maurge Dulaney and Teri Mills are bound and determined to get more, more, more for aspiring nurses: more access to nurse education, more instructors and more seats in classrooms. Forget limitations—these resolute AFT members have visions and plans for partnerships with other institutions, growth in their program that trains nursing and medical assistants to become registered nurses, and expanded clinical opportunities. They think big and they'll win big. Mills (and AFT Member and NNNO Secretary Alisa Schneider MSN, RN) are helping the union pursue the Office of the National Nurse akin to the Office of the Surgeon General. Her idea has won our members' endorsement as an AFT resolution, and she'll win over Washington, too.